We all live in a society that promotes the values of communication, helping others, collaboration, respect, diversity, participation and responsibility. As a result, working in groups has become an indispensable skill in the 21st century and cooperative learning has become a major feature of classrooms. The aim of group work is to get students to actively participate in their own learning and to embrace the values of cooperation, responsibility and helping others. 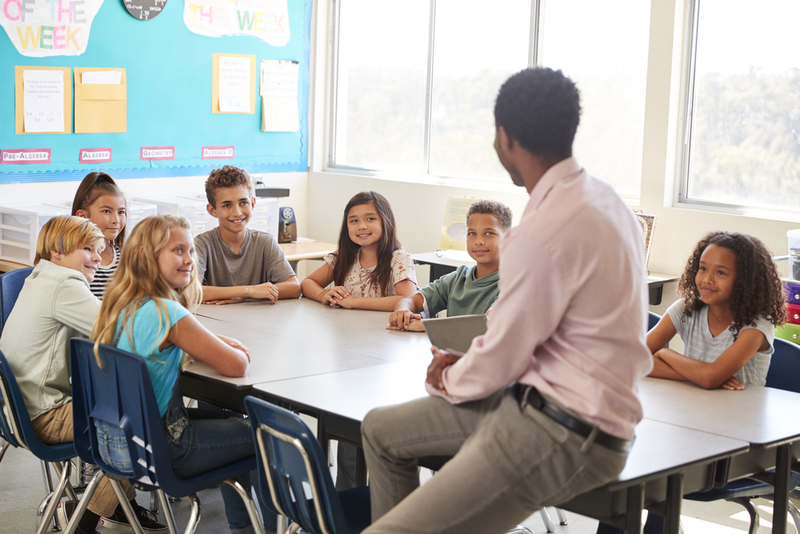 Here are 6 activities and techniques to help you put cooperative learning into practice in your classroom! To begin, the teacher sets a problem for students to solve and says, ‘Pencils in the middle’. Everyone must put their pencils in the middle of the table and talk for five minutes about how to solve the problem. Once they have discussed it and everyone understands, students can pick up their pencils and work on their own to complete the task. 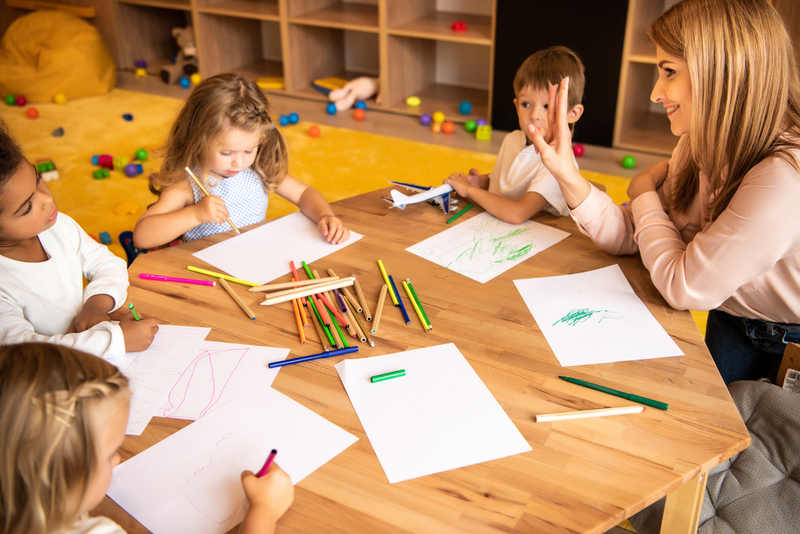 This activity encourages oral expression and active listening, since children must explain the task orally and listen to each other’s explanations. Students are put in groups and each student is given a number. When the teacher asks a question, the students work in their groups to find the answer. Then the teacher randomly picks a number and asks the students with that number to answer the question. This method encourages all team members to understand the concepts covered in the activity and to explain them to each other. The encouragement of peer teaching also results in a more effective understanding of the answers to questions. In a jigsaw reading, students read different parts of a story before sharing it with members of their group. This dynamic is great for active listening and the understanding of a text or another resource, such as a video or a slide presentation. Students also internalise the most important concepts and understand them at a deeper level than if they had simply read the text by themselves. In this technique, a student who has already grasped a teaching point helps another student to understand it. This allows students to learn from each other and develops various skills, such as communication, problem solving, learning strategies and understanding of content. This is similar to the jigsaw reading technique described above for primary classrooms. The teacher divides a text into 4 or more sections (e.g. Text A, Text B, Text C and Text D) and distributes them to the class. All of the students with Text A form an expert group and discuss questions related to it, deepening their knowledge of the subject and addressing any doubts they may have. The same process occurs with students who have been given Text B, C and D. The teacher then regroups the students so that each new group contains an expert in Text A, Text B, Text C and Text D.
The students explain their part of the text to each other by summarising its contents and answering the questions they discussed during the expert groups phase. This technique favours positive interdependence, since each student has part of the information necessary to understand the global nature of a topic. Students work in teams to research a topic and produce a piece of work on it, for example a presentation. This strategy stimulates intrinsic motivation, since it is based on individual self-interest and shared common interest with other group members, who work together to carry out the research. The above working in groups methods develop students’ individual responsibility, positive interdependence, participation and interaction between team members. Each of these methods can be adapted to suit the characteristics of each group or class, and some techniques can be combined with others. Translated and adapted from 10 dinámicas para trabajar en grupo en primaria y secundaria. If you would like more suggestions for classroom activities, take a look at some of our Vicens Vives Club Ideas or 7 tips for teaching phonics.